Australia, 14 July 2016: Australia’s largest conference for creative entrepreneurs – Creative3 – has today announced its first round of speakers and panellists, featuring a number of world-renowned creative entrepreneurs and thought-leaders, from creator and producer of That Startup Show, Anna Reeves, to film and games veteran Ben Britten – an Academy Award winner for technical achievement in films including Spiderman, Superman Returns and Terminator 3. 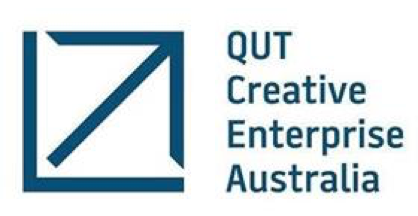 An initiative by QUT Creative Enterprise Australia (CEA), Creative3 is Australia’s leading creative-tech event designed to spark collaboration and connect those within the industry. A series of dynamic presentations and interactive panels hosted by world-class creative game-changers will offer unique insights into creativity, investment and enterprise. Creative3 will also host an exclusive breakfast event – Creative3 Pitch – where four shortlisted creative-tech startups from across Australia will pitch to angel investors. CEA will provide pre-event coaching and workshops to ensure each startup is pitch-ready. The winner will go on to represent Australia and compete against 63 countries at the Creative Business Cup in Denmark later this year. Additional speakers and panellists featured in the impressive line-up include: former David Jones Limited CEO, Paul Zahra; Stashd co-founder, Jessica Wilson; MD and co-owner of children’s production house, Like A Photon Creative, Kristen Souvlis (who recently formed part of the first Australian female team to produce Sesame Street); Area360 and STQRY founder, Chris Smith; co-founder and CFO of Smartstudy, Ryan Lee; and Bidchat co-founder and CEO, Roger Ein. International startup industry veteran, Mark Pesce – who initially launched CEA nine years ago – will be joining Creative3 as MC. CEO of QUT CEA, Anna Rooke, said: “We are incredibly excited to announce the first round of confirmed speakers and panellists joining us at Creative3 this year. We have a sensational line-up of entrepreneurs and industry leaders covering a wide range of creative disciplines, and we can’t wait to hear them share their experiences in scaling their creative-tech venture. “Around 10 per cent of the Global 500 in 2016 are creative enterprises, and with Australia’s creative industries currently worth almost $90 billion, we must do more to stimulate this. By underpinning the creative industry with technology disruption, Australia will be in a better position to create more viable and sustainable startups capable of scaling their success worldwide,” added Ms Rooke. Now in its seventh year, Creative3 has previously attracted big name speakers from the creative-tech arena, including Shoes of Prey CEO and co-founder, Michael Fox, CEO of Halfbrick, Shainiel Deo, and Former CEO of Sass & Bide and founder of Mimco, David Brisken. Creative3 will take place at Brisbane Convention & Exhibition Centre on Thursday September 22, 2016 from 9:30am – 8:30 pm. For more information on the Creative3 conference visit the website. CEA helps start, grow, scale and connect creative companies. Providing essential business skills and pragmatic training focused on company growth and investment, CEA accelerates companies with a focus on design, fashion, entertainment, photography, music, film and television, digital technology, games and interactive content. CEA offers access to workspace, business mentoring, special events, networks, research expertise and capital to foster the growth of the creative industries in Australia.